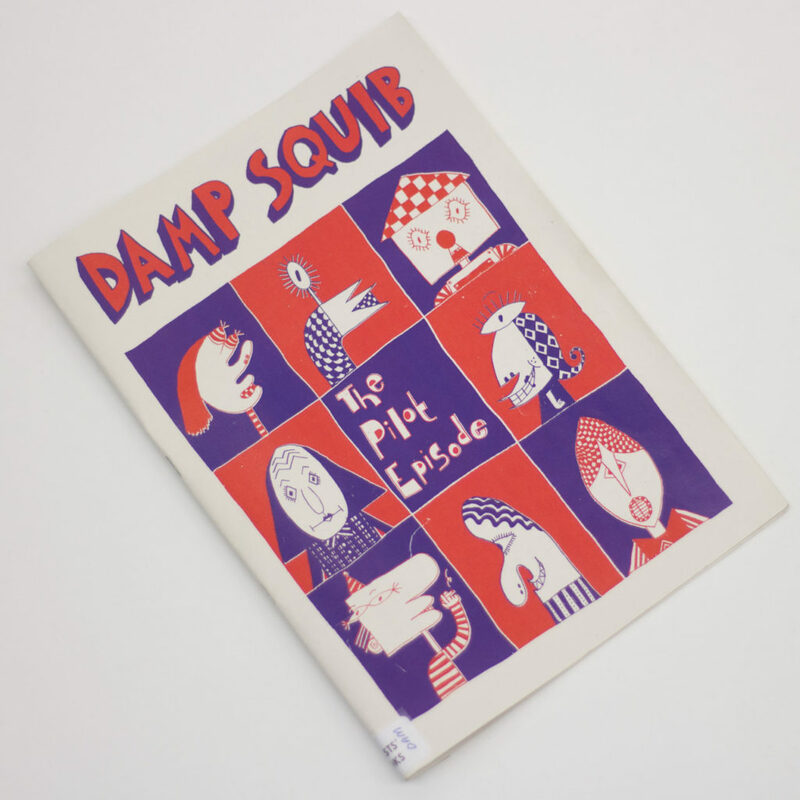 Damp Squib is a shape-shifting comic zine that changes theme, format and editor each issue. 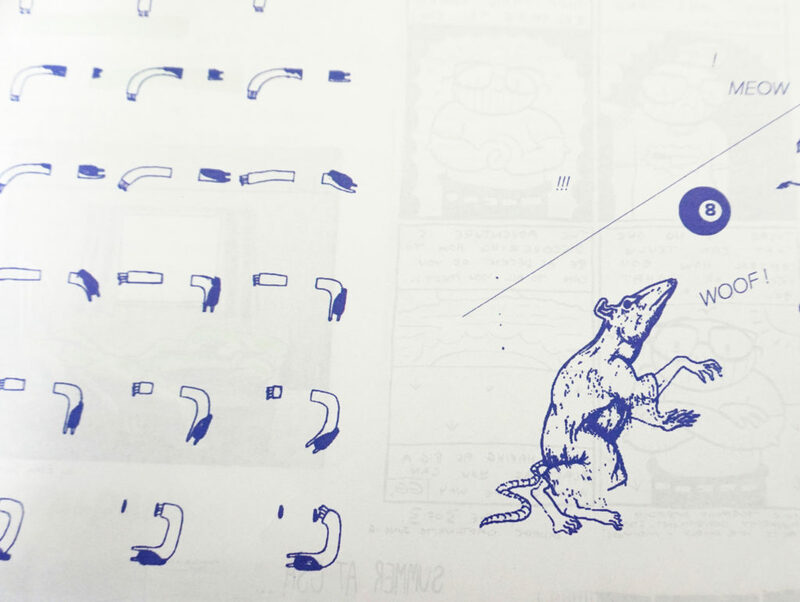 Published "sporadically" by the Comix Club at the Glasgow School of Art, Damp Squib brings together an energetic range of comic styles from a rotating mix of contributors (including, in the last issue, the editor's mum). 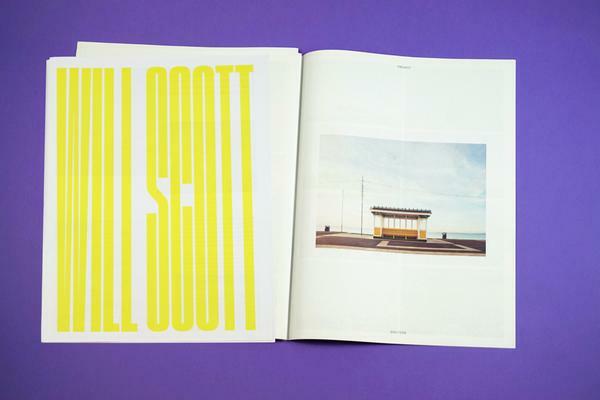 The third issue, which came out in June, celebrates summer getaways with an "Action, Escape, Adventure" theme. 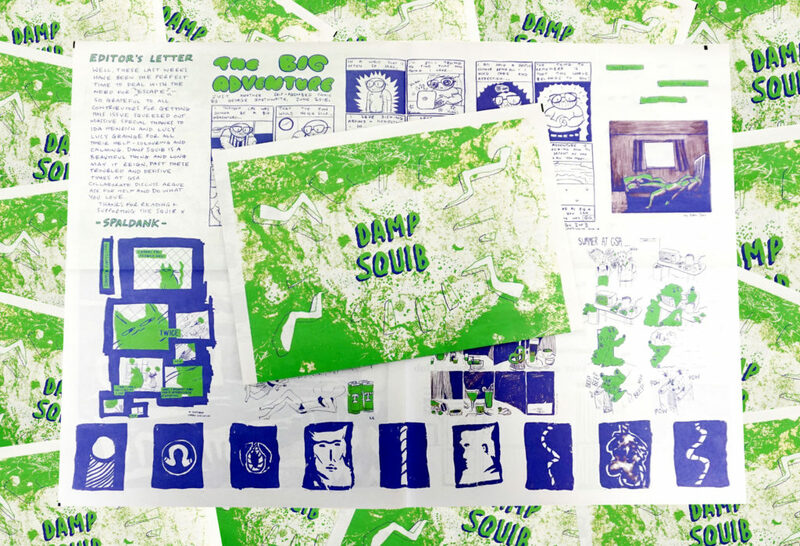 Printed as a digital broadsheet newspaper, the latest edition of Damp Squib is just 4 pages but packs a loud visual punch when folded out into a 750mm x 520mm poster. 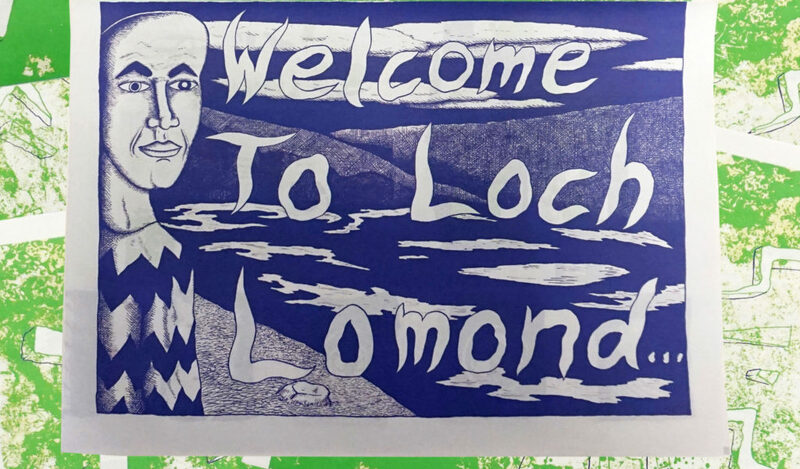 We caught up with Comix Club president Peter McKenna and this issue's editor Shona Spalding to find out how they put the zine together and what the future holds for Damp Squib after they graduate. How did Damp Squib get started? Peter: Damp Squib started as a response to what I considered was a lack of printed visual storytelling in circulation around the Glasgow School of Art campus. I felt that comic art was being underrepresented at GSA in spite of there being a strong community of artists and designers who I knew were engaged with the genre. To rectify this I – alongside my fellow 4th Year Illustrators –established the GSA Comix Club as a society for the production and appreciation of comic media. We held a meeting, wrote a manifesto, browsed a long list of firework names and resultantly Damp Squib was born. The first issue, "The Pilot Episode", was a chance to test the waters and unsurprisingly we got loads of dead good submissions! What's the process of putting an issue together? Peter: We made the decision early on that we wanted Damp Squib to be edited and produced by a different society member per issue to keep the publication diverse and ever-changing. 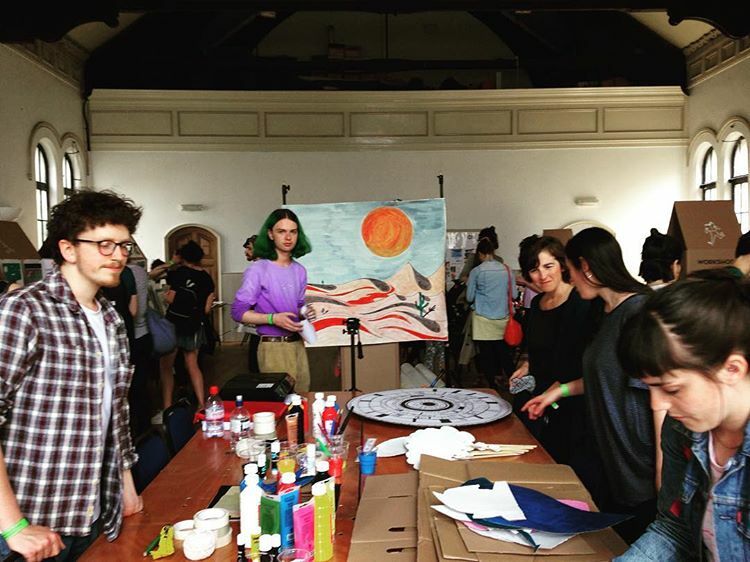 Comix Club members propose their concept for the next issue at one of our meetings: they detail their idea for the theme, print method, colour scheme etc. and then we take a vote. The newly-elected editor then goes about producing the next issue, starting with a call for submissions. 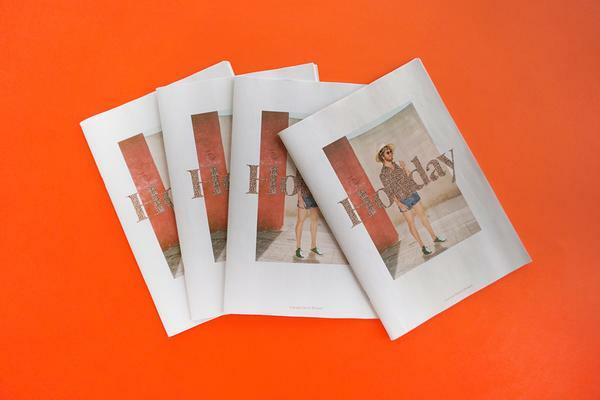 Submissions are welcomed from anyone and everyone – not limited to GSA students – and it's the editor's job to collate this content into whatever printed format they see fit. The first issue is archived at the wonderful GSA Library Zine Collection. Where else can people find Damp Squib? Peter: It's the duty of the Squib editor to distribute the comic – so it's up to them where they wish to put them. 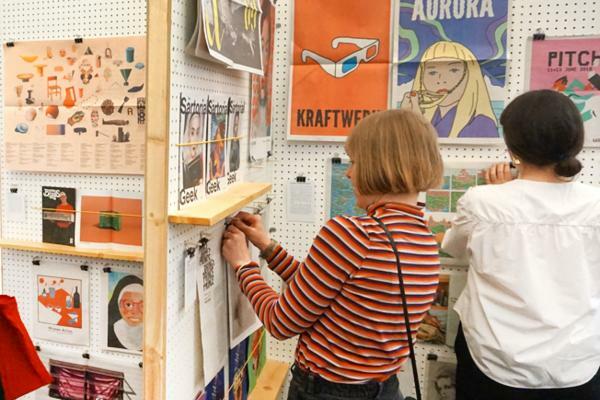 Usually we circulate them about campus: in the Student's Association, the Reid and Tontine buildings and recently we had the opportunity to showcase them at the East London Comic Art Festival (ELCAF) in Hackney as well as our own Communication Design Degree Show. The comics are free and so far each issue has been produced in a limited run – so when they're gone, they're gone! As a society we've archived copies of each issue and likewise the GSA Library holds a copy of each. Other than that, if you're after a copy I'm afraid it's a case of having to beg, borrow or steal. Why did you decide to publish the third issue as a newspaper? Shona: We'd had two different formats already so it was clear that the club should keep experimenting. I decided on newspaper because I really liked the idea of it folding out to two big pages of assorted comics. Keeping the submissions thematically linked doesn't tend to result in a lot of coherence visually, and having them all on one page keeps things busy and promotes my kind of comic ideal. Finally, what are your hopes for the future of Damp Squib? Peter: Well, given that myself and the other core Squib members have now graduated from GSA, the future of Damp Squib is relatively undecided. In its short lifespan I think the comic has made a bit of a name for itself so we plan on passing the comic over to some current students and hopefully they can continue to populate GSA with more sequential narrative publications. We did briefly discuss stealing Damp Squib and continuing to run it from outside the walls of GSA but I feel like that's its home now and to take it with us would be downright greedy. There's definitely also a lot more to be done with Damp Squib. Like I said, it made it's debut at ELCAF this year when a group of us ran a kind of pop-up-wheel-of-fortune-performance-mask-making-comic-generator-workshop down there (which we'll be running again at this year's Fresher's Week) so I guess Squib is already moving into a more multidisciplinary realm and hopefully that will continue. Damp Squib is currently accepting submissions for a special "Cautionary Tales" issue aimed at incoming GSA students. If you have advice about "the sticky ends and how not to meet them" send an email to damp.squib@outlook.com by 31 August 2016. Keep up with Squib news on Facebook.